After eight years stuck on the sidelines watching the best of the NFL duke it out in the postseason, my Chicago Bears finally made it back to the playoffs…only to lose to the Philadelphia Eagles on a double-doink field goal miss. It was a truly unfair way to go for us diehard Bears fans, but as a Cubs fan, I guess I know as well as anyone: “There’s always next year.” Sigh. Alas, the party must go on! Here are a few tips so you can make the rest of the playoffs fun, even if your team isn’t still in it. First move is to step up your game with Sara Lee® Premium Meats–the recipes below will make you the ultimate host! And of course, in addition to the fantastic food, you need good drinks, fun decorations and special touches, like a couple of games to keep even the most casual of football fans invested in the game. P.S. 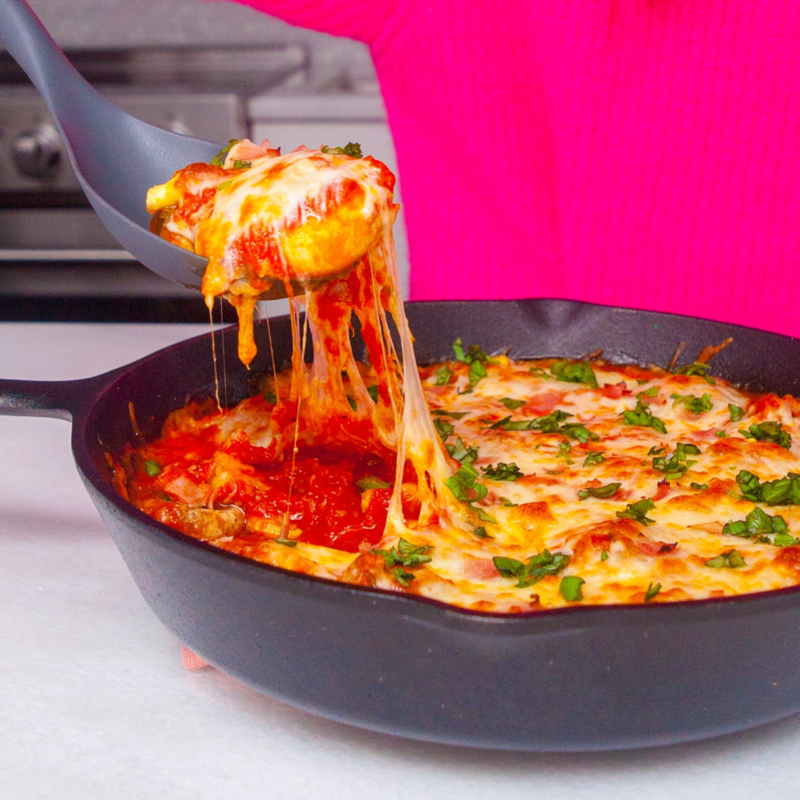 – If you want more great recipes, head to SaraLeeDeli.com for delicious meal solutions for the whole family, simple lifestyle tips, entertaining ideas, meal hacks & more! You’ll even get some football facts so you can talk about the game as well as you entertain for it! And you can enter for a chance to win a Family Game Day Experience with me for 10! It’s always fun to have food representing both teams, so start by matching some of the gameday fare with the two cities involved. Along with the specialty food for the day’s matchup, it’s always good to serve a few of your go-to party dishes (you know they’re a hit!) 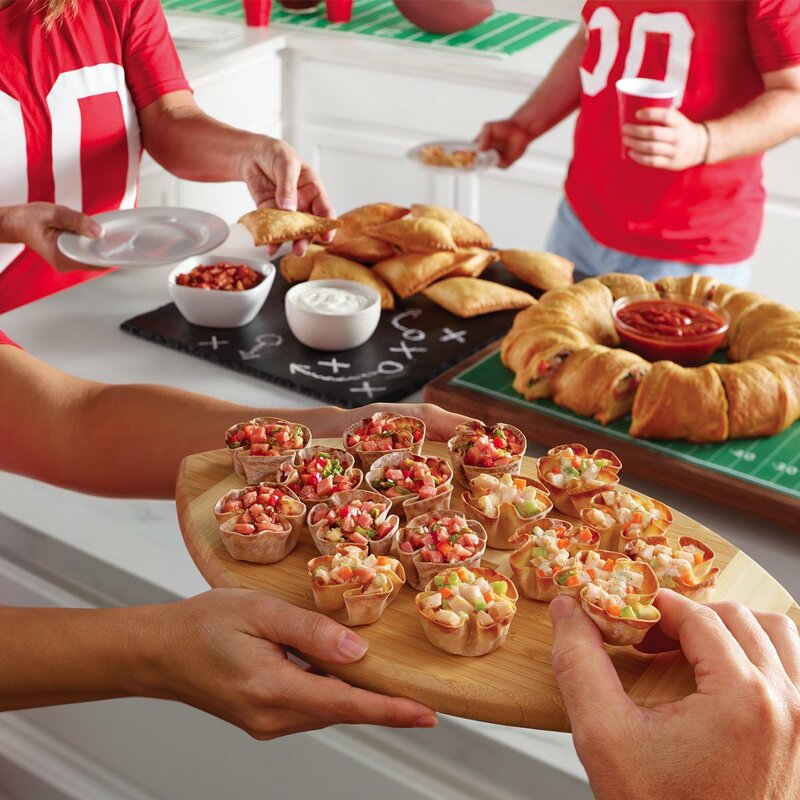 and try out some new recipes, too — a house full of hungry football watchers is a great excuse to try something new! A good party starts with well-lubricated guests! To make sure everyone is happy, it’s always good to have a selection of beer, wine and–if you’re feelin’ fancy–a specialty cocktail or two. In Chicago, it’s easy to serve fare from one of our local breweries or specialty wines sporting the names of legendary coaches and players. Specialty cocktails featuring your favorite spirits can be inspired by the game, like a “Sacks On The Beach” (vodka, OJ and cranberry). – Highlight your food and drinks spread with a fun “Concessions” sign or a chalkboard with the “X’s and O’s” of the day’s menu. – Buy brown plastic Solo cups and use a white sharpie to make laces–instant footballs! – Stretch green Astroturf, fabric or plastic across your kitchen island and use a white sharpie or tape to make yard lines, end lines and hash marks. A field on which to display all the goodies. – Plates, napkins and utensils featuring your team or your team’s colors. – Play The Drive: (4 players) Cut out four cardboard squares of the exact same size, shape and thickness and label them “punt,” “field goal,” “touchdown,” or “other (turnover, safety, fake punt).” As each drive begins, each person throws in his or her ante–you can use straws or chips–and grabs one of the four cards in the center (or in a bag/hat if you’re worried about cheaters). Whoever holds the card that matches how the drive ends gets the pot. Whoever has the most straws, chips or whatever you used for ante at the end of the game wins! California Club SandwichMVP GRUB FOR A KILLER BIG GAME BASH!